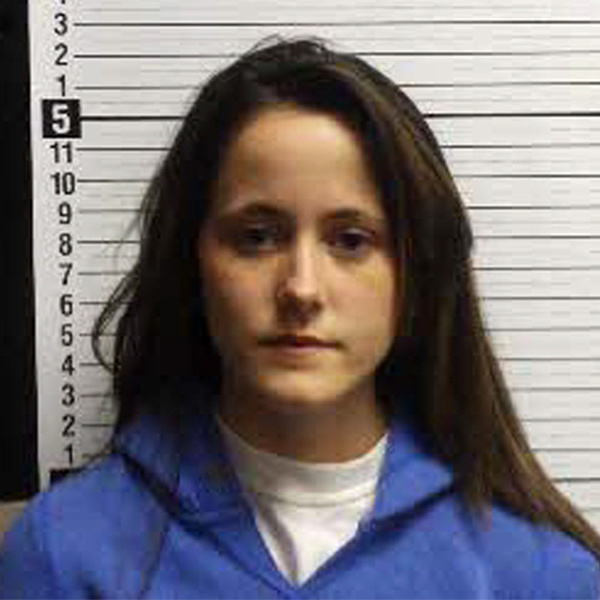 Jenelle was arrested on October 15, 2010 in Oak Island, North Carolina. She was charged with breaking and entering, possession of marijuana, and possession of paraphernalia, but released on $2,000 bail. 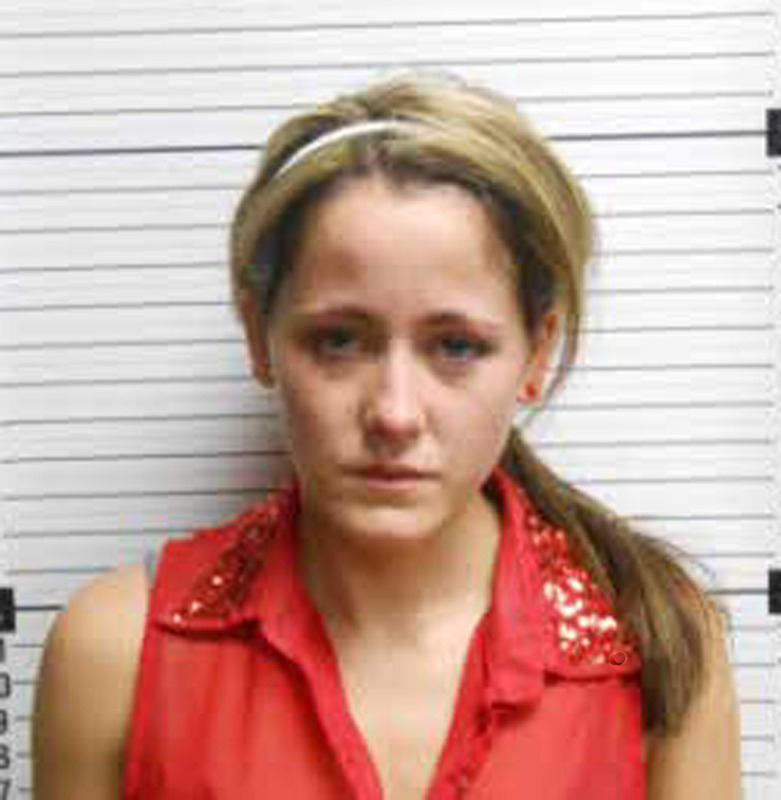 Jenelle Evans was again arrested on March 27, 2011, this time for misdemeanor accounts of assault and affray. 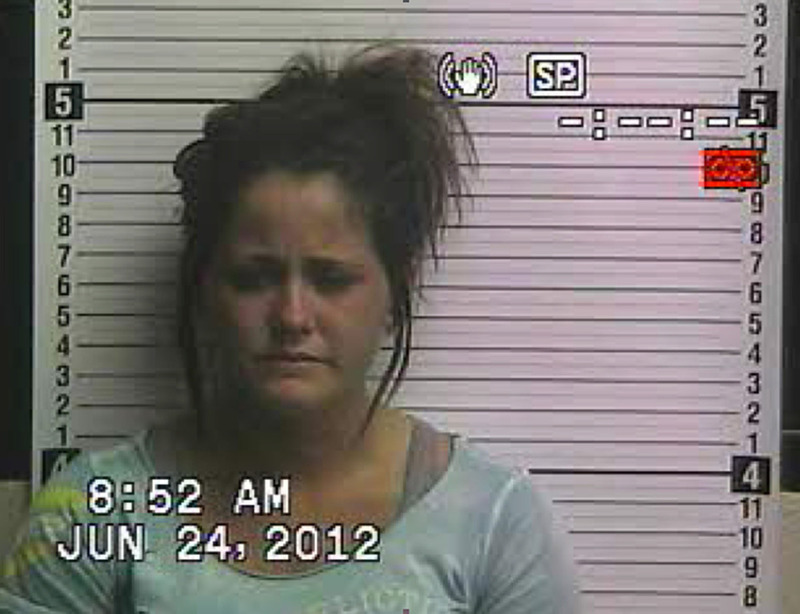 She was caught on tape attacking Britany Truett, a fight that broke out over Evans’ sometimes-boyfriend Kieffer Delp. 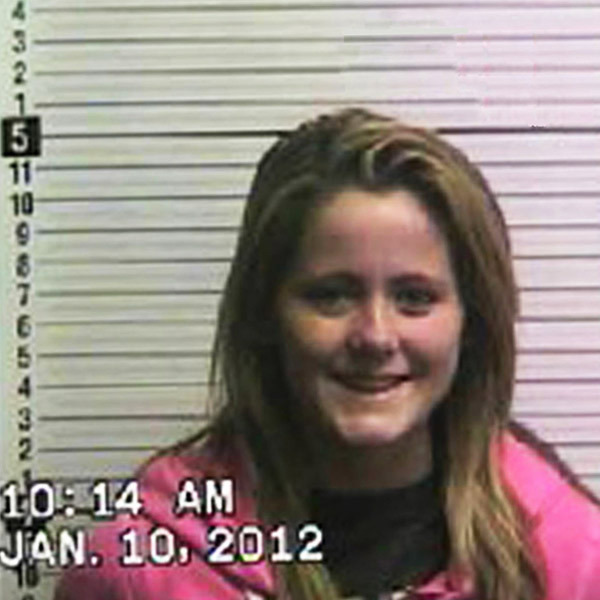 Jenelle Evans was arrested again in North Carolina on August 8, 2011. She was charged with probation violation after testing positive for marijuana and opiates, and held behind bars for several hours before being released on $10,000 bond. Jenelle was arrested for “communicating threats” to her former roommate and ex-best friend Hannah Inman after they got in a huge fight over rent payments. She had to post her own bail for $1,000! 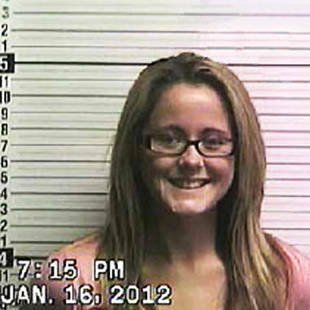 Jenelle Evans saw herself behind bars for the second time in one week after being arrested on January 16, 2012. The 20-year-old was taken in by North Carolina police for allegedly violating a domestic violence protective order. Jenelle was again released after posting $1,000 bail. Jenelle Evans was arrested after returning from taping the Teen Mom 2 Season 3 reunion after her former boss filed cyberstalking charges against her. Her lawyer, Dustin Sullivan, said she turned herself in and spent less than 30 minutes in jail. Jenelle Evans was arrested on June 24, 2012 on drug charges — marijuana possession, possession of drug paraphernalia, possession of a controlled substance — after calling the police on fiance Gary Head for hitting her. He was also arrested on domestic violence charges. Both were bailed out the next morning. On August 28, all of Jenelle's charges were dropped, and Gary Head pleaded guilty to assault. 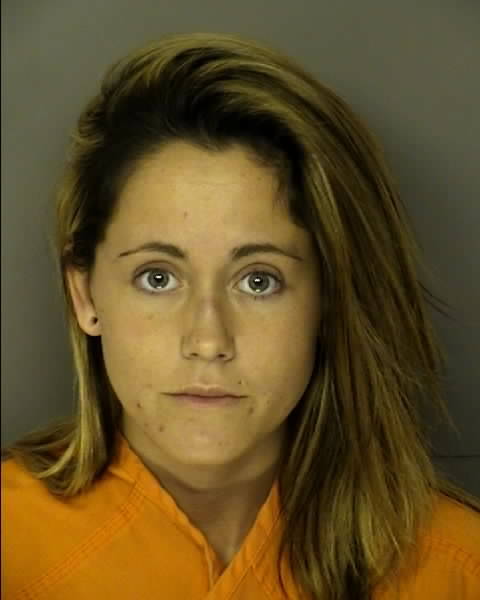 Jenelle Evans and her husband Courtland Rogers were arrested by the Caswell Beach Police on suspicion of heroin possession (with the intent to sell/manufacture/distribute), drug paraphernalia, and simple assault. She was placed on two $10,000 bonds, and bonded out later that day. 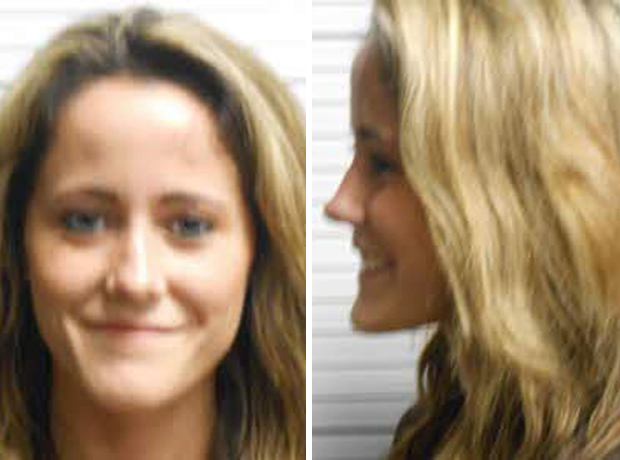 Jenelle received her ninth mug shot when she accidentally skipped her May 20 court date (to face cyberstalking charges from 2012) and the judge issued a warrant for her arrest. She turned herself in later that day, paid $1,000 bond, and got the charges dropped. In her blog she explained the situation, saying it was all just a big misunderstanding. Despite reaching a plea deal to keep her out of jail for her heroin and illegal Percocet possession charges back in April 2013, Janelle still found herself in jail on August 12, 2013, after failing a random drug test ordered by the court. But don't worry — she only tested positive for marijuana. At least she's smiling, right? Jenelle was arrested for having a loud fight with her then boyfriend, Nathan Griffith. 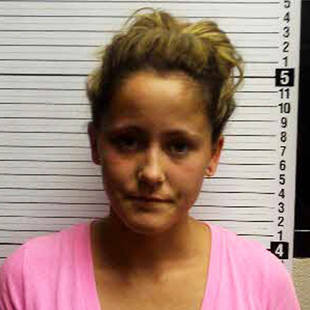 Jenelle Evans was arrested for driving without a license after getting pulled over by the South Carolina Highway Patrol. 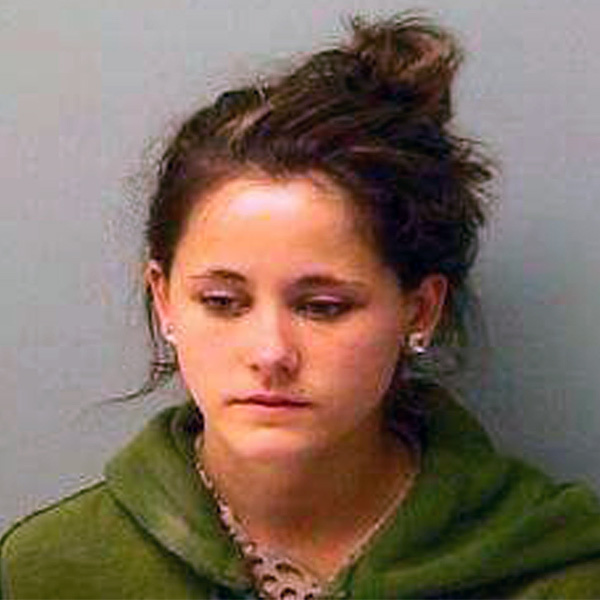 The 23-year-old reality star was shortly released the same day after posting a $237.50 bond. According to TMZ, Jenelle Evans turned herself into the Myrtle Beach Police Department on May 28, 2015. She was booked on charges of first degree criminal domestic violence after getting into a physical altercation with her ex-fiancé Nathan Griffith on May 27. Nathan eventually dropped the charges. Jenelle got arrested on charges of assault on August 20, 2015. She allegedly threw glass at Nathan Griffith's new girlfriend, who was accompanying him when he arrived to Jenelle and Nathan's Myrtle Beach, SC home to pick up some of his belongings. 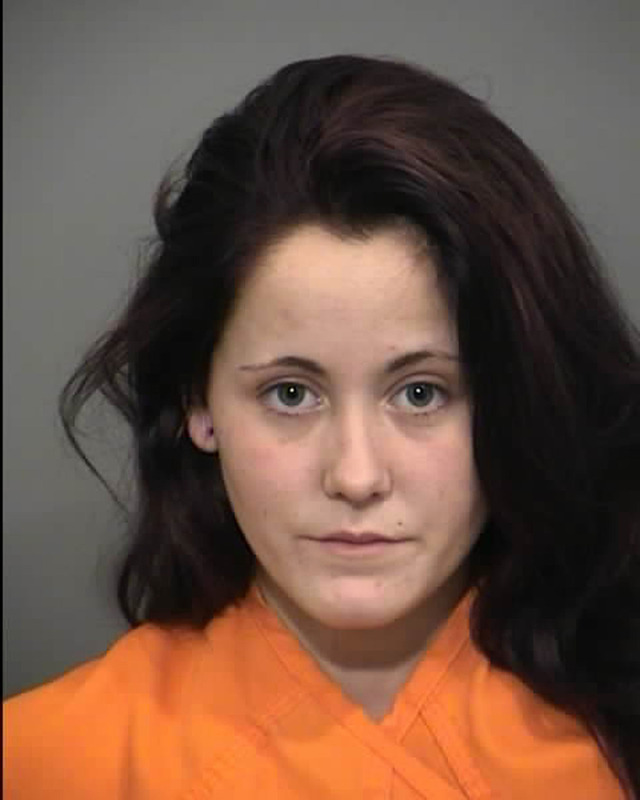 She spent the night in custody and posed for this mugshot on Friday, August 21. 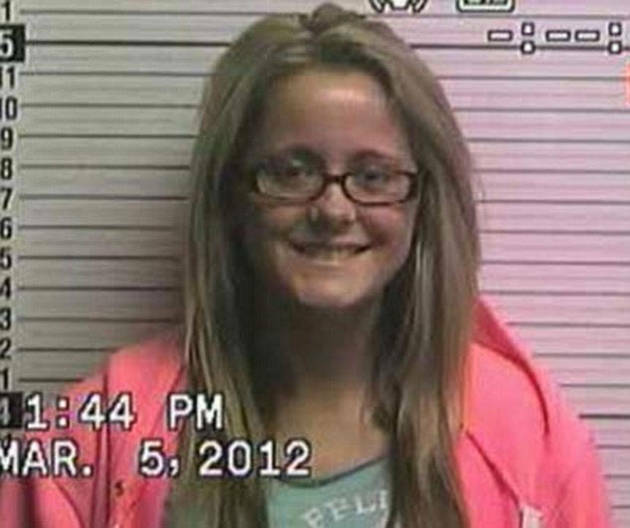 Teen Mom 2 star Jenelle Evans has been arrested a total of 15 times since 2010, with various charges from drug possession to communicating threats to domestic assault. We've rounded up all of her mug shots throughout the years, with her latest stemming from her August 20 arrest on assault charges after allegedly throwing glass at Nathan Griffith's new girlfriend. Yikes! 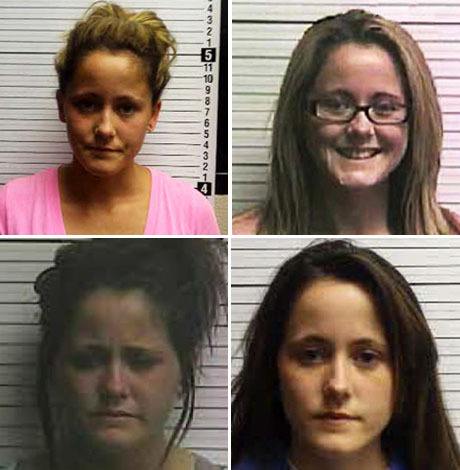 Click through the gallery above to see all of Jenelle Evans's mug shots to date.